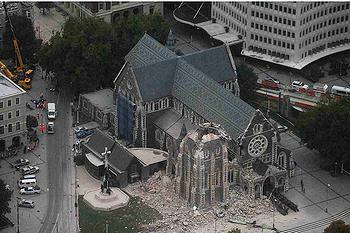 WELLINGTON, New Zealand, February 24, 2011 (ENS) – The New Zealand police now put the death toll from the Christchurch earthquake at 113 and this figure is still expected to rise. 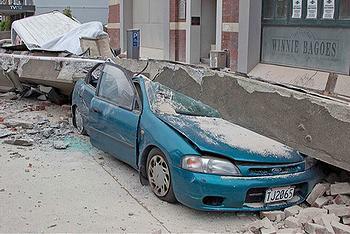 The South Island city of 340,000 was hit by a magnitude 6.3 earthquake on Tuesday, sustaining its second major quake in five months. The list of people who are unaccounted for, and where there is significant concern that they are in the central business area, remains around 200. Police say it is likely that many those who have died will be on that list but cross-matching can only be carried out once there have been formal identifications. DNA and fingerprint samples are being used to identify the victims. Some names of those who died in the quake are being released but only after they have been positively identified and next-of-kin have been notified. Police are appealing for understanding from families as they work to identify bodies. “We know it’s an agonizing wait for families desperate to find out about their loved-ones, but there is a legal requirement for this work to be completed to standards set by the Coroner,” police disaster victim identification commander Mike Wright told TV New Zealand. An American Urban Search and Rescue Team has now arrived in New Zealand to join teams from New Zealand, Australia, Japan, Taiwan, Singapore and China. A team from the UK is also en route; once they arrive there will be nearly 700 USAR teams and civil defense volunteers working on the rescue operation. Hundreds of rescuers dug through twisted and broken buildings for hours in a desperate search for survivors after the catastrophic quake. Aftershocks are expected to continue, leading to further building damage or collapse, as well as continued disruption to power, telecommunications and essential services. 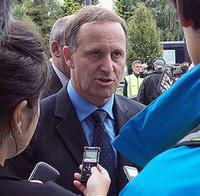 Prime Minister John Key told reporters the death toll could rise beyond 200 people. 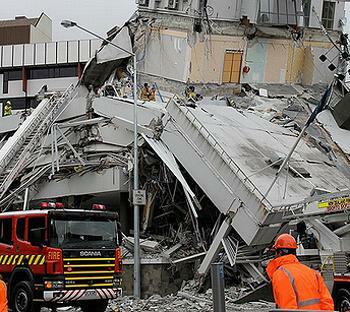 He confirmed that there are no survivors from the collapsed Canterbury Television building in central Christchurch and that overseas visitors are among those who died there. Police say the bodies of about 100 people remain in the rubble of the CTV building, but activity there has been suspended due to the instability of neighboring buildings. More than 20 people may still be trapped inside the Pyne Gould Corp Building in the central business area where rescue workers have been redoubling their efforts. While some hospitals in Christchurch are operational, approximately 1,145 injured people have been flown out to Wellington or Auckland, according to Civil Defence. As of 2 pm today local time, there were at least 36 aftershocks greater than magnitude 4 and four aftershocks above magnitude 5. The national geological service GNS Science advises that there may be more magnitude 5 or greater aftershocks in the next few days. Christchurch police are imposing tight restrictions in central Christchurch from 6:30 pm for public safety amidst fears of further building collapses. The area within the four avenues – Deans, Moorhouse, Fitzgerald and Bealey – is cordoned off and anyone entering the area will be arrested. Water supplies are still not restored to about 50 percent of Christchurch residents. Water is being trucked in by tanker and water distribution sites are being established throughout the city. Civil Defence is reminding residents to continue boiling all water used, including rainwater and water collected from the tankers. Assume tap water is contaminated and unsafe to drink until advised otherwise, the agency warns. Most of the city’s main line sewers are damaged and sewage is flowing unchecked into rivers. But food and petrol are not in short supply and there is no need for panic buying, authorities say. Civil Defence says all state highways and state highway bridge structures in and around the city have been inspected, and while some have sustained minor damage all of the bridges are safe, and all other state highways in the region are open. But 18 bridges and 25 distributor roads are still impassable due to flooding and structural or surface damage. Eastern parts of the city are worst affected. Power has been restored to about 60 percent of the city but the power company Orion says it could be weeks before electricity is fully restored. “Progress is slow because roads are damaged and much of the damage to the electricity network is underground, making it difficult to locate and investigate faults,” said Orion CEO Roger Sutton. Prime Minister Key today reallocated some Ministerial portfolio responsibilities, for the foreseeable future, to allow Canterbury Earthquake Recovery Minister Gerry Brownlee to focus solely on overseeing earthquake recovery. “There is a very big job ahead of us and it’s important we have a senior minister dedicated solely to it,” Key said. “The government is going to do everything it can to support the recovery and rebuilding of Christchurch,” said the Prime Minister. Finance Minister Bill English joined Prime Minister Key today in a conference call with the chief executives of Business New Zealand’s major companies group, representing most of New Zealand’s largest businesses. Officials are working on a range of options for a government business assistance package. Australian Attorney-General Robert McClelland today said 300 Australian police officers as well as Australian medical staff and a field hospital are being deployed to Christchurch to provide emergency assistance in response to a request from the New Zealand government. President Barack Obama called Prime Minister Key of New Zealand Wednesday to express deep condolences and offer whatever aid is needed. Offers of international assistance have also been made by Argentina, Canada, Chile, France, Germany, Greece, Korea, Malaysia, Mexico, New Caledonia, Russia, Switzerland and the United Nations. 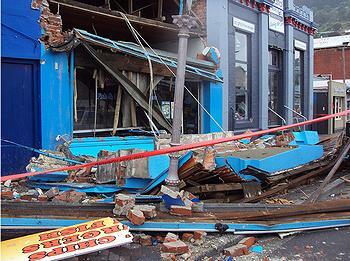 To free up accommodation in Christchurch, Civil Defence is giving visitors to the city the opportunity to relocate to Wellington. Visitors who want to leave should go to the Burnside High School welfare center, corner of Memorial Avenue and Greers Road, or the welfare center in Hagley Park. Visitors are warned not to go to the airport. Visitors are being flown to Wellington by the Royal New Zealand Air Force and flights started leaving Christchurch early this morning. The airport has been open for domestic and international flights at revised schedules since Wednesday afternoon. Today’s flight schedule is expected to be back to normal.